The next Air Jordan 10 Retro release is a few weeks away however, you can grab a pair early if you're looking to. Check out the auction here. 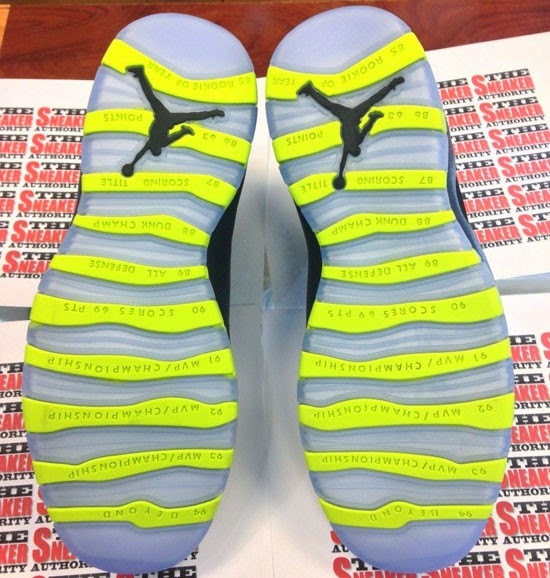 The fourth Air Jordan 10 Retro release of 2014 is right around the corner. 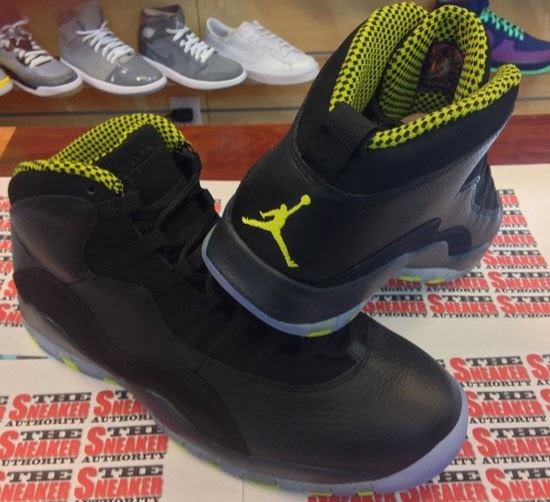 Known as the "Venom Green" edition, this new colorway comes in black, venom green, cool grey and anthracite. 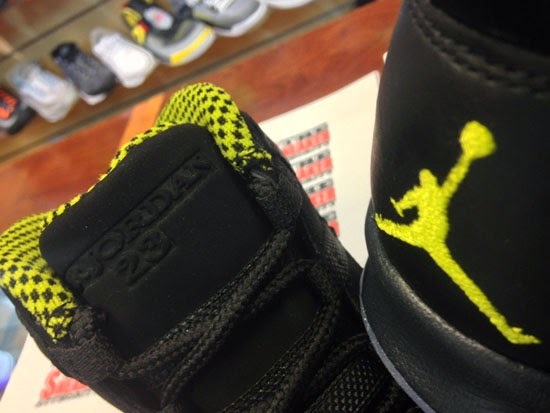 They feature a black based leather upper with hits of nubuck. 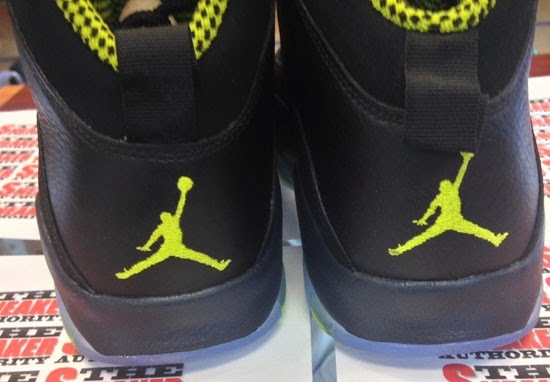 Venom green accents the checkerboard sockliner and Jumpman logo on the back heels with a fully icy blue translucent outsole finishing them off. A general release, look out for these at select Jordan Brand accounts worldwide on Saturday, March 22nd, 2014. Retail is set at $170 for men's and, they will also be available in full family sizing running all the way down to infant. 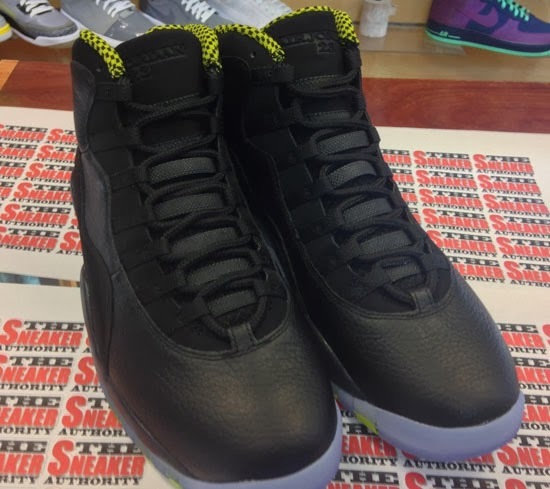 Enjoy the images below of the "Venom Green" Air Jordan 10 Retro in black, venom green, cool grey and anthracite. If you're interested in picking these up when they release, check in with your local spots to see if they will be receiving them. Those of you looking for a pair now can, grab them from eBay here.